Hope everyone had a good weekend! 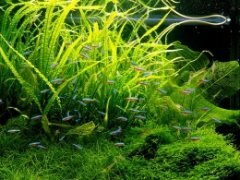 This week's aquascape is a special one, since it's primarily a moss aquascape. 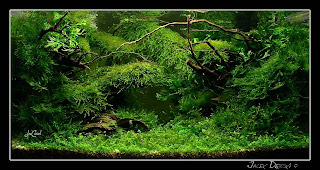 All different types of aquatic moss come together to make a very unique looking tank, and by incorporating driftwood branches, it looks like an overgrown forest. I've always wanted to start a moss only aquascape, and this aquascape is the main reason! For more information on this tank, see this thread (in Polish).